Raising Aspirations in Science Education (RAiSE), a programme focused on igniting a passion for science in primary school pupils, has been expanded to 10 local authority areas across Scotland. 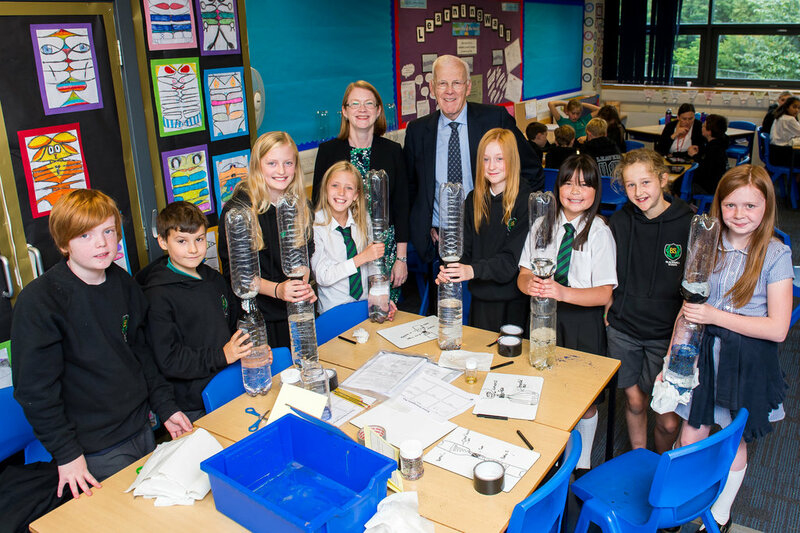 The RAiSE programme aims to encourage young people into science, technology, engineering and maths (STEM) careers, through the appointment of primary science development officers in each local authority to improve teacher confidence in delivering inspiring science learning. The initiative started in West Dunbartonshire, Moray, East Ayrshire, Edinburgh and Highland in 2016 and has now been expanded to include Angus, Aberdeenshire, Dumfries and Galloway, Fife and Glasgow. A three year pilot, RAiSE has so far received over £550,000 of funding from the Scottish Government and The Wood Foundation to support its delivery since 2016. Participating local authorities are also contributing financially to the programme. “We want every child in Scotland to experience the wonder and excitement of STEM and one of the key aspirations announced in this week’s Programme for Government is for Scotland to be a leader in the invention and manufacturing of digital, high tech and low carbon innovations that will shape the future. “Developing young people in Scotland and providing them with the modern skills they need for the world of work is a key area of investment for the Foundation. We believe that every young person should have the opportunity to engage in quality science education from an early age. “Through the RAiSE programme, we hope to bring long-term benefits by providing teachers with the confidence and competence to deliver science at a primary school level. This will hopefully establish early interest in science and technology and a desire to explore the vast world of science in school and beyond.